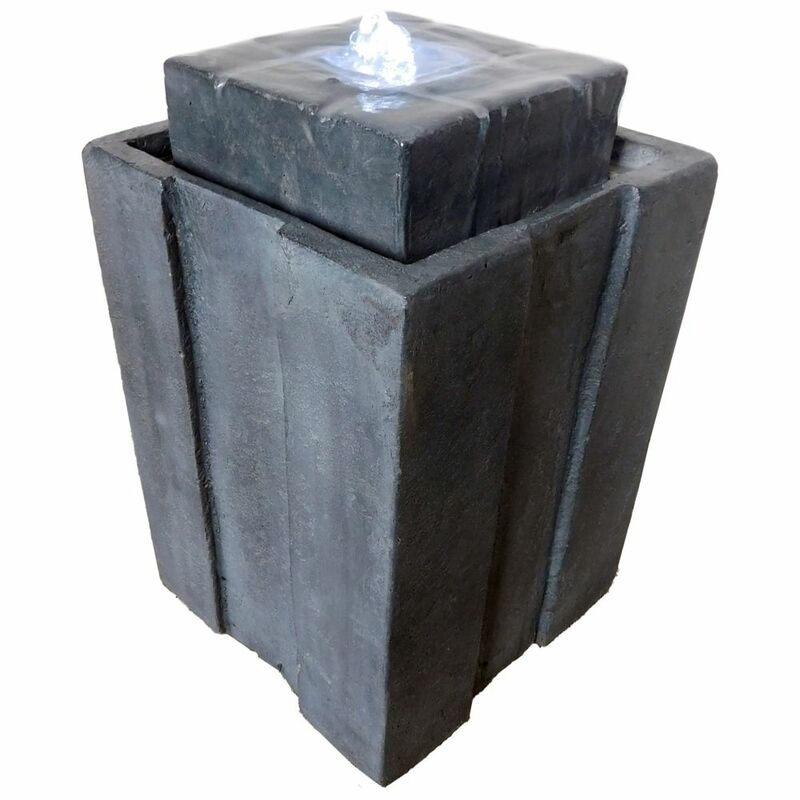 15.75-inch Montgomery Fountain with Pump and Lights Contemporary design and modern style makes the Montgomery fountain a great conversation piece. Functional art for the yard. Easy to assemble, comes complete with everything you need, including an energy efficient pump and LED lights. Constructed from NuCrete., a durable fibre reinforced concrete.